The month-long trek opens in Lisbon, Portugal on October 28 and sees the duo of bassist/singer Mike Kerr and drummer Ben Thatcher play six European shows before returning home for an 11-date UK arena run. 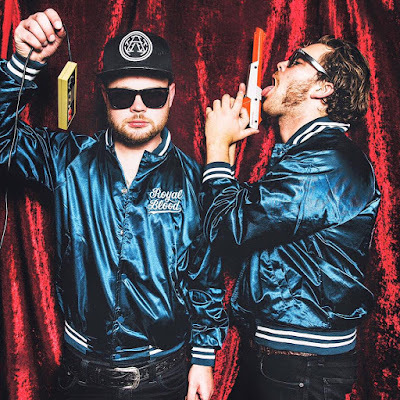 Royal Blood have teamed with Twickets for the tour; an early access pre-sale will begin May 24 at 9am with general public seats going on sale May 26 at 9am. Due June 16, “How Did We Get So Dark?” marks the follow-up to the band’s 2014 self-titled debut. Led by the first single, “Lights Out”, the set was recorded in Brussels, Belgium with producer Joylon Thomas and London, UK with co-producer Tom Dalgety. This week, the band released a Ben Lowe-directed video for the follow-up track, “Hook, Line & Sinker”, as the latest preview of the forthcoming album. Ahead of the fall shows, Royal Blood will perform a North American tour that will begin in Boston, MA on June 2.